I majored in math in college so as a (formerly) mathematic baker I feel an obligation to celebrate Pi Day. But let’s be honest, Pi Day isn’t about pi…it’s about PIE!!! Pi Day this year was especially exciting because Pi Day also brought Winter Storm Stella. Snow days are perfect baking days, but when a snow day and Pi Day collide…that’s fate! I don’t make pies very often, and when I do, I usually make meringue pies. (Have you tried my mocha meringue pie yet???) 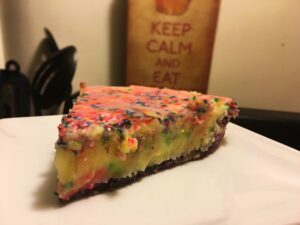 But Pi Day is a special occasion which calls for a special pie recipe and I can’t think of anything more celebratory than SPRINKLES! 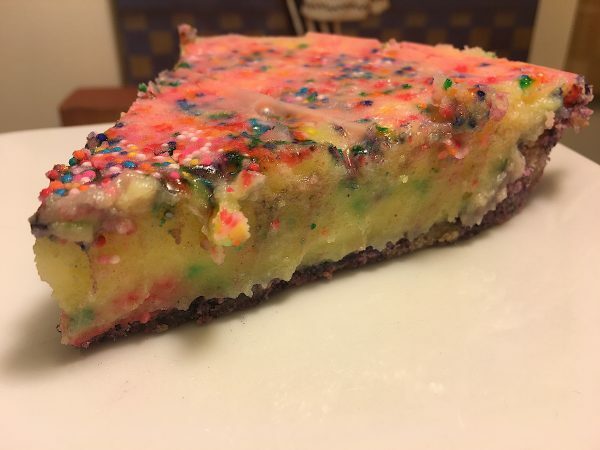 For the pie crust I made a vanilla wafer crumb crust, which I separated and colored with four different food colorings. 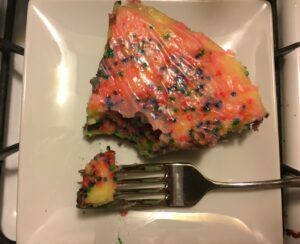 When pressing the crust into the pan, I kept the colors separate. I was worried if I swirled them, the separate colors may not be distinguishable and they would just blend together, but I look forward to experimenting more with the multi-colored crusts. 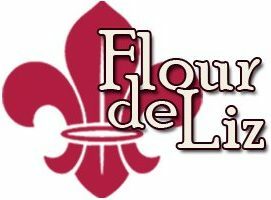 The filling is similar to a vanilla cream pie, but there is no vanilla in it. Instead it uses whipped cream vodka. 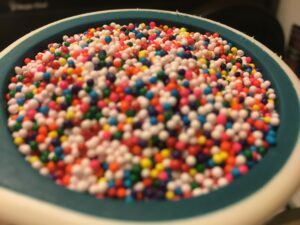 And then, of course, its full of sprinkles! The outcome is what I like to call a PARTY PIE!!! Preheat the oven to 350 F. Coat a 9" pie dish with butter. Combine the wafers, butter, and sugar till the mixture is moist. Separate the mixture into separate bowls for however many colors you are using. Add a few drops of food coloring to each bowl and mix until you get the coloring desired. 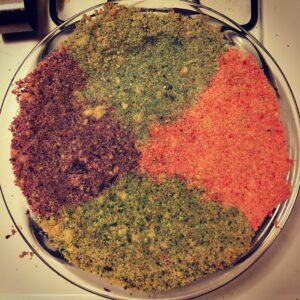 Press the colored crumb mixtures into the bottom, and up the sides of the pie pan. Bake crust for 10-12 minutes. Cool completely. In a medium pot, whisk together sugar, cornstarch, and salt. Then add cream and whisk till combined. Add egg yolks and whisk until well blended. Heat over medium heat until the mixture simmers. Remove from heat, whisk, then return to heat whisking constantly until the mixture becomes very thick and begins to bubble. Continue whisking for another 30-45 seconds, then remove from heat. Whisk in butter and whipped cream vodka till very well combined. Pour some of the filling into the crust, then some sprinkles, and continue alternating until all the filling and sprinkles are in the crust. Cover the pie with plastic wrap and refrigerate for 3-4 hours. If there’s such a thing as a party in a pie…you just found it!!! Looks deeeeeelish!! Pi Day + Snow Day = PARTY! Thanks, lady!!! I needed to bring some colorful fun to the snowy snowy day! Thanks so much for the kind words!